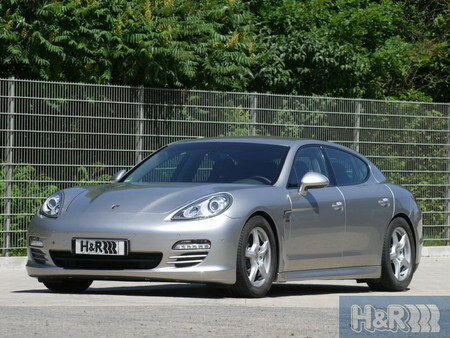 The suspension gurus from H&R have come up with a professional kit this time for the new Porsche Panamera V6. With the H&R spring kit not only the car gets a better look because it comes closer to the ground by 35mm, also the handling is enhanced significantly due to the reduced body roll. A further highlight can be obtained from the H&R TRAK+ Wheel Spacers made of high tensile aluminium. The small gap between the wheel arch and the edge of the wing can thus be visually perfected, which results in an even more powerful appearance.